Did you know that Facebook walls are being checked 6 times more often than private email accounts? This information can be applied to many aspects of your social media campaign; however, with your Fan Page, you have a real opportunity to engage with your customers, and letting them see your’re not a faceless company. You are real and have the potential here to display all your good qualities and strengths. Stop your users in their tracks and be noticed. Learn how you can stand out from the crowd. Your clients are engaging in a number of social platforms, take advantage of this super networking approach and reach a wider audience. Connect all your platforms and watch your audience grow. There are many benefits of having Social media, and good old fashioned promotion is the most obvious and successful when done properly. Adding a Pinterest tab to your Facebook Page is a great online marketing tool for an Estate Agent. A picture speaks a thousand words, visual content is the centerpiece of selling on social media platforms. As an Estate agent you have huge portfolios to be seen. One of the most strikingly visual platforms is Pinterest, where you can create beautiful boards. Each board can represent a different category for you to showcase. Come up with some creative names for each board. e.g ‘What’s vogueing in Villas’, ‘Trending tips on Decorating’. You get the idea. The Pinterest page can be connected to other social media platforms. 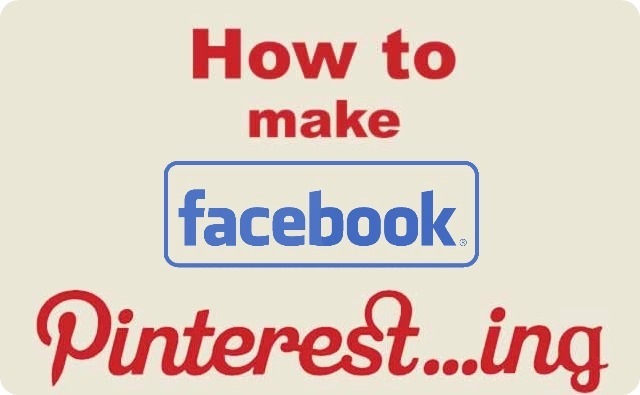 Let your Facebook fans have access directly from your page to your Pinterest Boards. Image sharing for you as an Estate Agent is a great way to raise awareness to your company. Building relationships and sharing is key to the success of this platform, as with others. Mix listings in with real advice and commentary. Offering some value-added information, tips for your clients, buying & selling. Give them a demonstration of your knowledge and expertise in Estates. Little things that make the whole process easier on them and will help them settle comfortably into their new home. 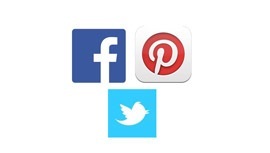 Add your social sharing buttons to your blog, of course. Strategies are similar to Facebook, your audience is slightly different including how they view and interact. You have 140 characters and there are a lot of tips to maximize the impact of the usage. Tweeting Tips. Add links to blogs, articles, pictures and videos. Tweet Local News. There are always local stories in your area, tweet the news, it shows how well you are connected and know your neighbourhood. Tweet Questions. Get your clients and followers to interact with you and be responsive. Hashtags. Relevant use will get you noticed, you will be easier to follow and not be lost in the crowd. All three, connect with them all, they all have strengths and will increase your sales.